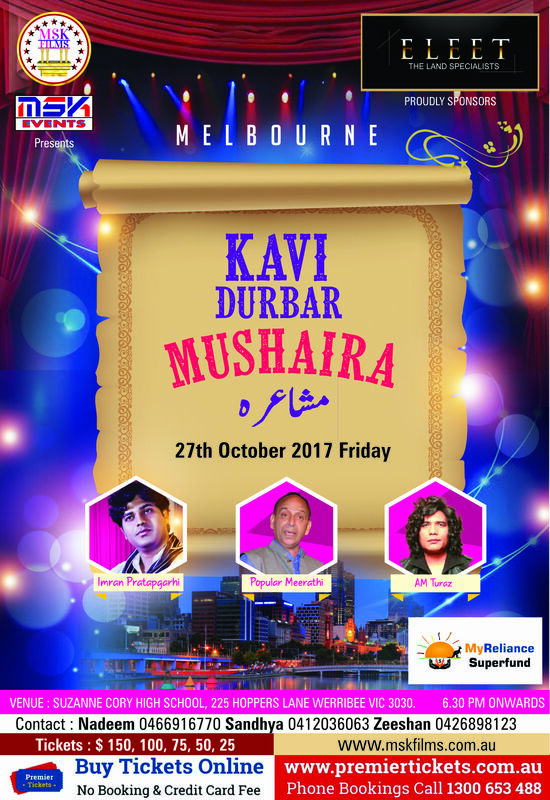 MKS FILMS presents one of the biggest events of the year, KAVI DURBAR MUSHAIRA - MELBOURNE an evening celebrating poetry on 27th October 2017. Popular Meerathi, Imran Pratapgarhi & AM Turaz will grace the occasion with their poetry. 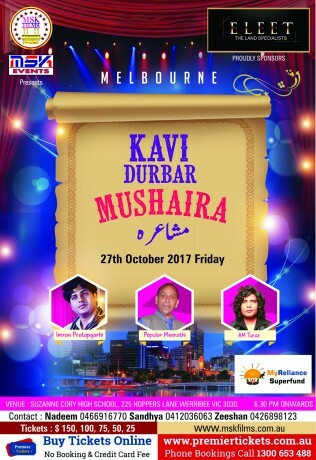 Premier Tickets Australia is proud to be the online ticketing partner for KAVI DURBAR MUSHAIRA - MELBOURNE @ Suzanne Cory High School, 225 Hoppers Ln, Werribee VIC 3030.